Huge selection of ongoing promotions. Excellent betting & live betting coverage. 888 Holding plc is a company operating several Poker, Sports Betting, and Casino websites. The company was founded in 1997 and has a subsidiary, called Cassava Enterprises, which is operating under the laws of Gibraltar. The majority of the parent-company is owned by Avi and Aaron Shaked. 888 is listed on the London Stock Exchange. 888Sport itself is a Cassava sports betting brand. It was launched in 2008 and is offering horse track betting and sports betting. 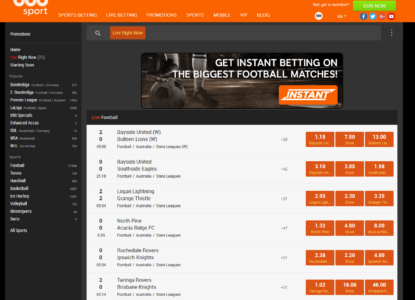 The site allows players to place in-play bets for many leagues and events in sports. The horse betting is focused on UK race tracks, but also provides coverage of international races. In our in-depth 888sport review you will find more information about one of the leading sportsbooks on the market. 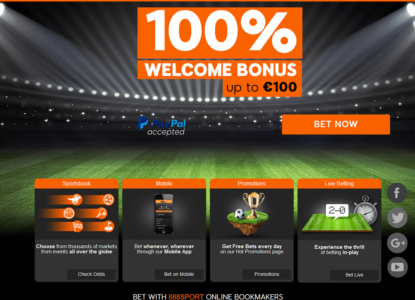 888sport provides new customers with €30 in free bets. If you sign up with 888sport, you will benefit from this exclusive offer. Follow the steps shown below to claim your welcome package now. 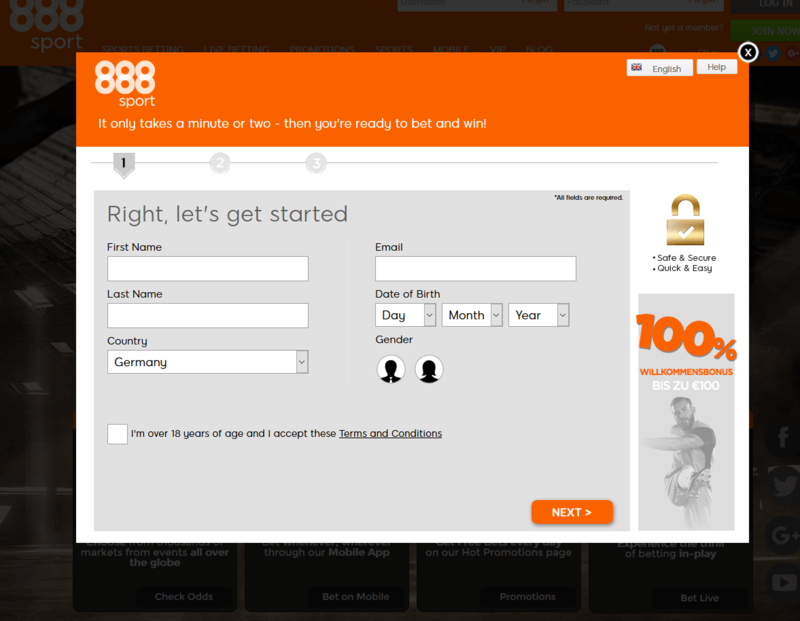 Register for an 888sport account through our sign-up link. 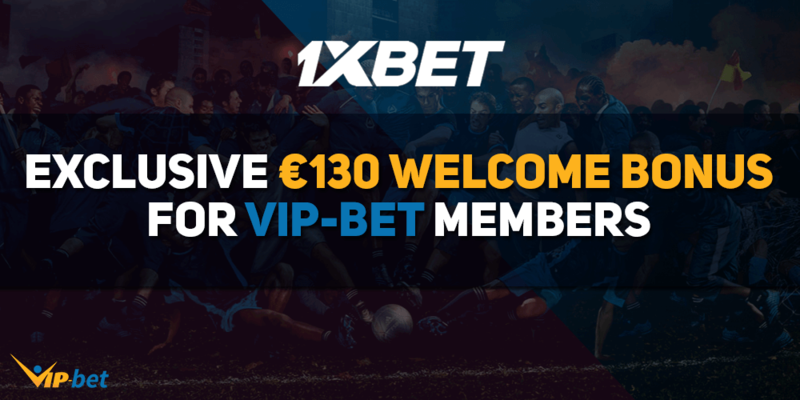 Make your first deposit and bet €10 on any market at odds of 1.50 or greater. Get €30 in free bets. Get two €10 free bets and a €10 free bet for mobile upon bet settlement. Use your 888 username and password to login. 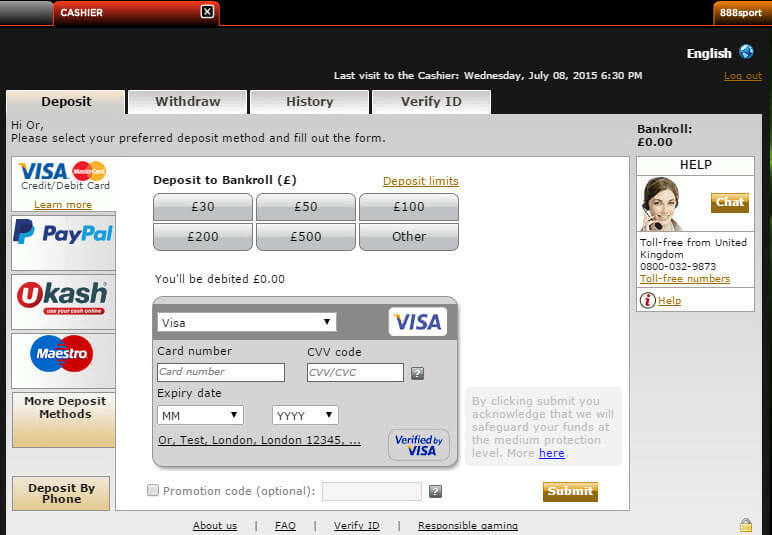 You have to make your first qualifying bet within 90 days of registration. The free bet token expires 7 days after credit. 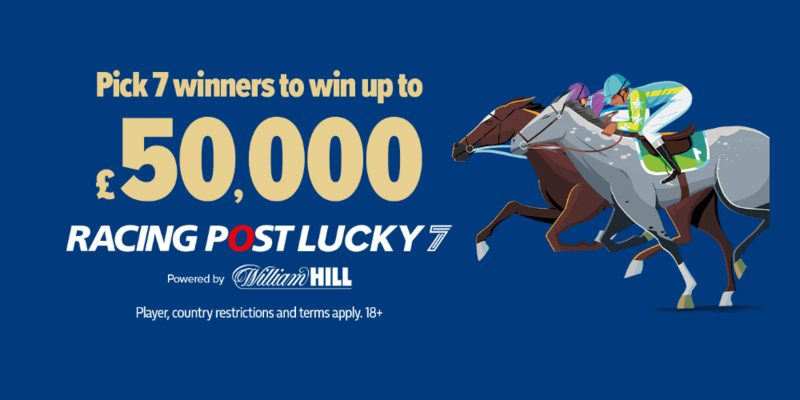 The free bet stakes are not included in any returns. Make your first deposit and use bonuse code “30fb“. Place your first bet worth €10 or more at odds of 1.50 or higher. Free bets expire after expire after 7 days. The following step-by-step guide will show you how to easily set up your account within a few minutes and benefit from our fantastic 888 Welcome Offer. 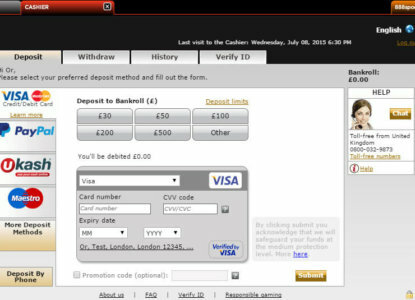 Once your account has been created you can start to deposit your first money. Simply choose your preferred payment method, your currency, and follow the instructions on the screen to finish the deposit process. Currently, you can place your bets on 35 kinds of sports including football, tennis, basketball, and rather uncommon competitions like WWE or Bandy. Additionally, you have a great choice of betting markets for each of these sports. 888sport offers you a coverage of all major leagues and even minor and lesser known competitions. If you are interested in placing bets on a wide variety of markets, you will definitely be satisfied with the choices 888sport provides you with. If you place bets with 888, you can take advantage of some pretty good odds. The football odds are of especially great interest to players, but there are also above average prices to be found for typical English sports such as rugby, horse racing, and greyhound racing as well. 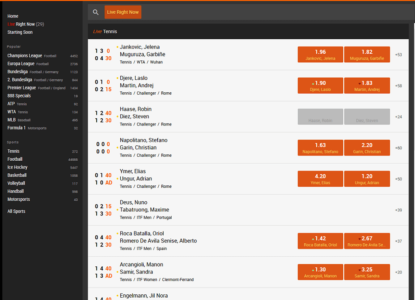 However, to make sure to always find the best odds just check our Odds Comparison Page, where we provide you with an overview about the best odds for different events through different sportsbooks, and you can easily find the most profitable sportsbook to place your bets. 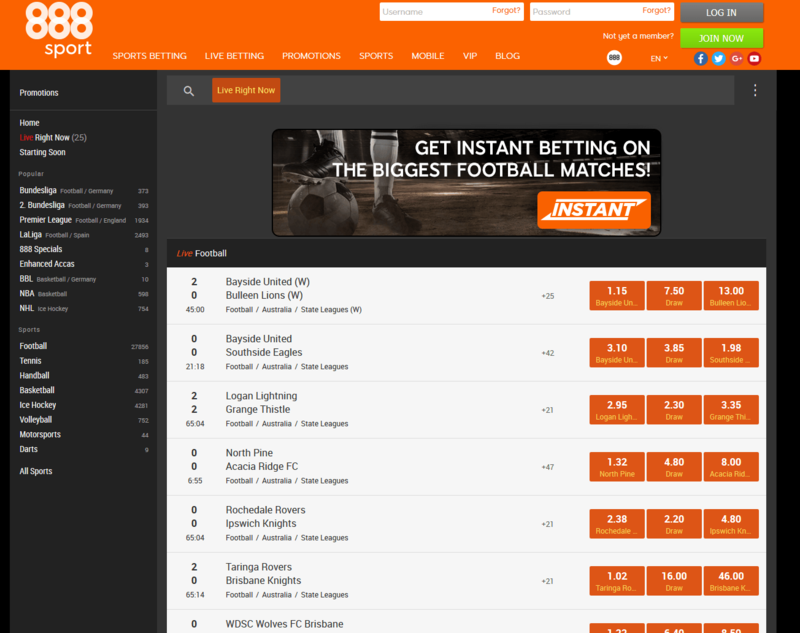 Give it a try and see how easy it can be to increase your winnings by just picking the best site to place your bets. The selection of in-play bets offered by 888 was fairly small at the beginning, but has drastically increased by now. 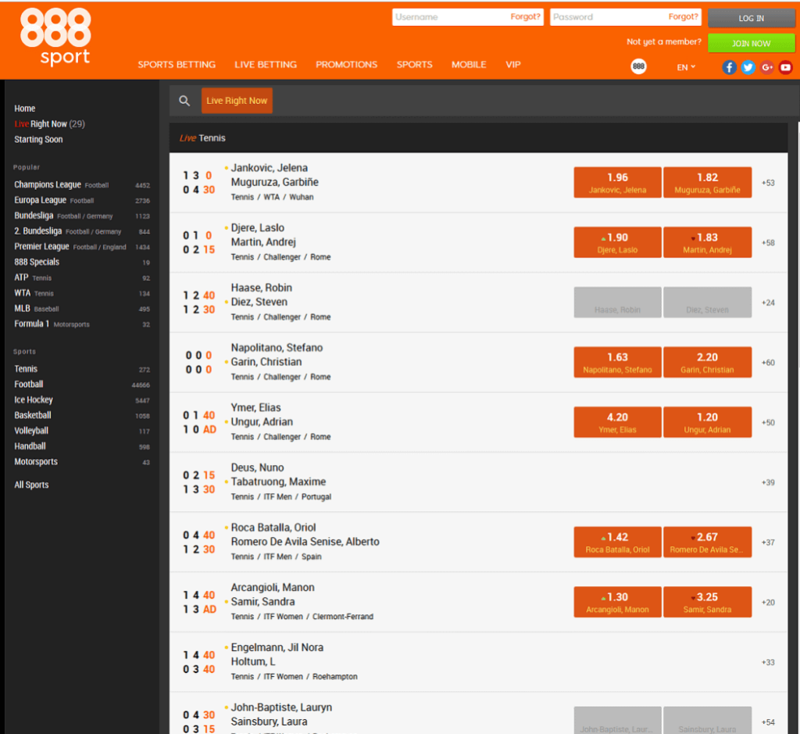 888sport made some big improvements and the live betting section is perfectly fine now. Football bets dominate most of the in-play area, but this is only due to the tastes of the average sports bettor, novice, or professional. Not only does 888sport offer the possibility to bet on football within their in-play product, but also on baseball, basketball, golf, tennis and other sports. 888sport does offer streams for horse racing, but currently they do not offer any other sport stream, which is a downside for such a big sportsbook. Live streaming is always a huge positive because it gives you the opportunity to watch sports on your TV or mobile device without having to search for the event. To find the best streams just check our Sports Live Streaming section, where you will find the best live streaming sportsbooks and some more information about live streaming in general. 888sport offers a really wide range of different payment options and it is safe to say that every better will find his preferred option there. The following table gives you a quick overview about the most important payment options and their fees and limits. 888sport definitely has one of the biggest selections of promotions, which makes it highly attractive for professional and recreational betters. They frequently offer free bets, betting bonuses, or other great promotions, which gives you the chance to increase your winnings. Make sure to regularly check our overview to take advantage of the latest promos. Let’s take a look at the current promotions. 888sport VIP Club: Your VIP status entitles you to take part in exclusive 888sport promotions. You could win anything from a free bet to tickets to a sporting event and the hottest gadgets. Goals Mean More: 888sport is the official sponsor of Nottingham Forest, Birmingham City, Preston North End, and Brentford. Every time they score in the Championship, 888sport will be handing out free bets. All you’ve got to do is back your team and you’ll end up with a double celebration each time they hit the back of the net. 1. Place bets worth at least $25 at minimum odds of 1.50 on any market on Saturday. 2. You will get one attempt on the game 48 hours later or three attempts if you’ve bet in-play or multiples. 3. Do the same on Sunday and you will receive the same rewards on Tuesday. Free Bet Sunday: Place three or more in-play bets worth at least $10 each on any Sunday Premier League, Scottish Premier League, La Liga, or Bundesliga match. You will receive a $5 free bet, which can be used on any in-play market the following day. 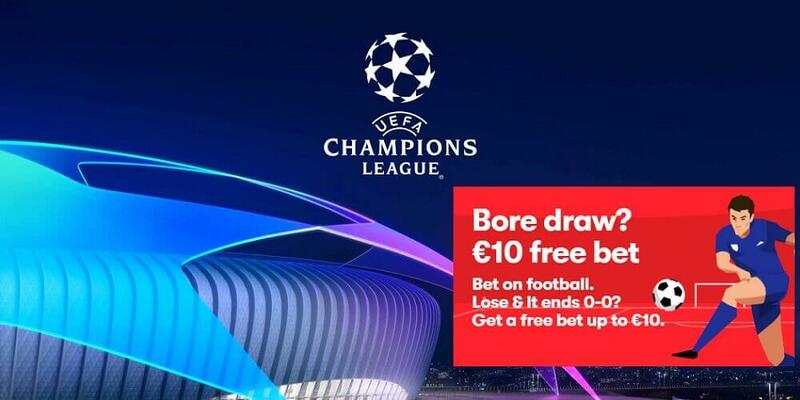 European Acca: Place at least one $5+ European multiple bet at minimum odds of 2.0 each night of Champions League and Europa League action and receive a $5 Free Bet by the weekend. 88th Minute Special: Place a single bet of at least $5 on the To Win (90 minutes), or Correct Score markets on any Premier League, Championship, Scottish Premier League, Champions League, La Liga or Bundesliga match. If a goal is scored from the 88th minute until the end of the regular time, which results in your bet losing, they will refund your stake as a Free Bet up to $25. Goals Bonanza: Place a bet of at least $5 in any goalscorer market (first/last/anytime) in a Premier League, Championship, Champions League, La Liga, Scottish Premier League or on Bundesliga match. You will receive a Free Bet refund worth up to $25 if you lose the bet and the match features five or more goals. Big Bet Bounty: Place a bet of at least $5 at odds of 1.50 or greater on any bet on markets of your choice. The bigger the price of the winning bet, the further you will move up the leaderboard. The first ten places are paid and the winner will take home a Free Bet worth $888. 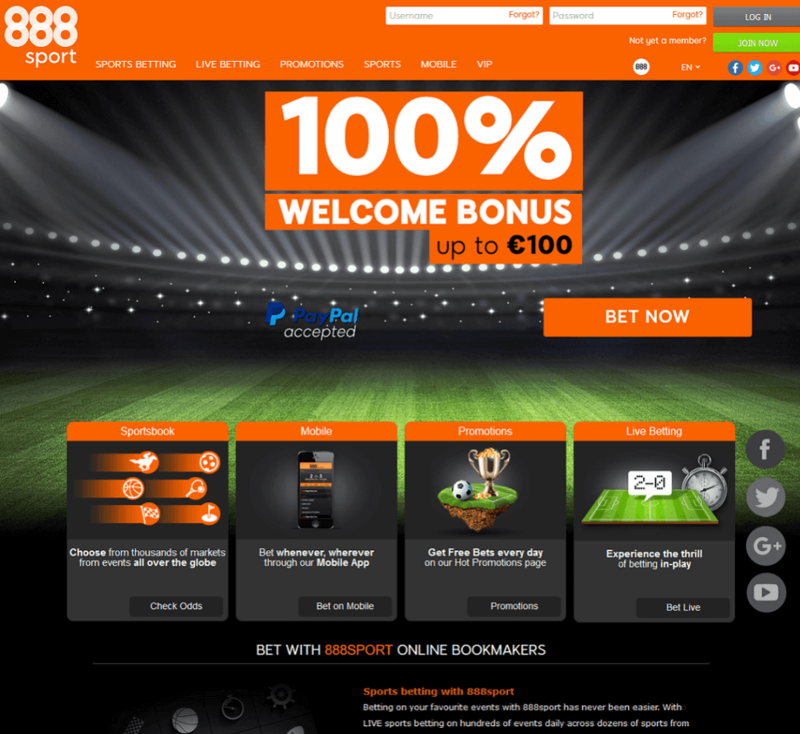 888sport is the sportsbook of online gaming giant 888. It was founded in 2008 and offers a wide variety of bets for many different types of sports. 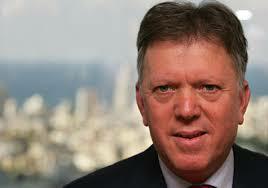 The company is licensed in Gibraltar and is listed on the London Stock Exchange. This means strict regulation by the authorities, which makes your funds at 888sport very safe. In addition to its sports betting services, 888 is also publishing articles on the odds of upcoming events in the world of sports. Moreover, the brand is the official sponsor for the 888sport Tingle Creek Chase. In 2010 888sport has also become the title sponsor of the Fontwell Park Racecourse and renamed the grand stand to 888sport Grand Stand. The company was founded by Avi and Aaron Shaked and Shay and Ron Ben-Yitzhak in May 1997 and was named Virtual Gamings Limited. The administrative centre of the undertaking was located in Antigua. In 2002 Reef Club Casino and Pacific Poker went online and just one year after, the center of administration was moved to Gibraltar. In 2005 the company was listed on the London Stock Exchange and reached a valuation of £590 million. The company owned several subsidiaries and brands, which were brought together under the 888 brand in the beginning of 2006. The ban of online gambling in the United States of America, which came into action in 2006, forced 888 to retreat its Pacific Poker room from the US market. However, the company didn’t rely as much on the US market compared to other competitors. Their withdrawal from the United States therefore did not impact the company’s revenue too much. 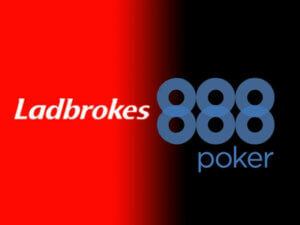 There were rumors in 2006, that 888 and Ladbrokes might agree to a merger deal. In late 2006 both companies announced official merger discussions. Half a year later it was made public that both parties terminated the discussion due to recent changes of tax laws in the UK and possible legal actions by the US government. One year after the failed merger with Ladbrokes, the company decided to join Globalcom Limited for up to $43.4 million. The company’s main assets was its bingo product, which was soon after implemented on 888. The company’s bingo business earned approximately $14 million during its first half year and the overall revenues increased to $56 million in 2007, which elevated the undertaking to the FTSE 250 Index. The 888 Poker Network became highly successful in 2012. The company took 4th place on the poker network list and also managed to increase its peak player numbers by almost 200% since 2010. 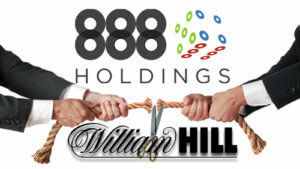 In 2015 rumors were circulating that 888 Holdings and William Hill were involved in “advanced talks” over a $1.47 billion takeover by the UK bookmaker. However, the acquisition talks ceased early and a purchase has not been made. In 2014 it was reported that 888 Holdings revenues were increasing due to a rising number of mobile customers and the company stated that they had 17.8 million paying users in total. 888sport offers a native app for Apple users, which can be downloaded for free from the Apple App Store. However, even Android users don’t have to miss the on the go betting experience with 888’s mobile friendly and easy to handle website. With 24/7 LIVE betting opportunities and daily markets on hundreds of events including in football, racing and tennis, 888 leaves you spoiled for choice. You can use the mobile app for all your iOS devices. The iOS app can be downloaded from the Apple Play Store. Unfortunately, there is no mobile app for Android users, but don’t worry, you don’t have to miss the 888sport experience on the run and can simply use their mobile website to find the same features and options from your desktop version. Downloading and install the iOS app to your mobile devices is easy. Just click the following logo and download the app to your mobile device. Odds Format: Fractionals, Decimals, American Odds. Live Streaming: 888sports has a great live streaming service called BetWatchWin. You can watch top class sport from around the world like the German Bundesliga, KHL Ice Hockey and Euroleague Basketball. Sports & Leagues: 888sports has a gigantic selection of 35 different sports. 888sport is available worldwide, but there are still a few regions where customers are not allowed to open an account. Check the following overview to see all regions where you are not allowed (orange) to open a 888sport account.